Fee covers all program materials, snacks, and breakfast. This program is limited to 25 kids. Registration must be received by April 20. On April 15, a confirmation and checklist of items to bring will be mailed. You will also be contacted regarding your child’s preference for the Friday workshop (yet to be determined). Children should be dropped off promptly at 5pm and picked up at 12 noon. All activities occur rain or shine. 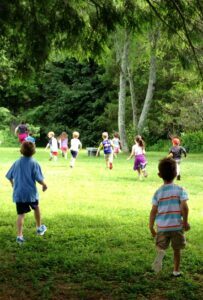 Join us on this summer for hour-long programs designed just for your young nature lovers. Every session will include a story, an encounter with a live animal, and an activity or craft. Bring your kids out to White Memorial for a jam-packed hour of hands-on learning. Parents, we ask that you stay for the duration of the program. Meet in the A.B. Ceder Room. 4-5pm. Advanced registration is required. Members: $8/child per session or $25/whole series, Non-Members: $12/child per session or $45/whole series. Kids entering grades 3 – 9 can join us for week-long sessions that immerse them in nature! 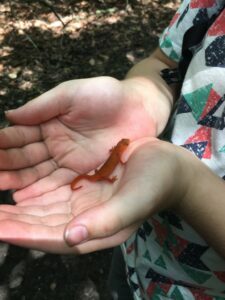 All-day adventures take us into the nooks and crannies of White Memorial property, as well as to natural areas throughout northwestern CT. Activities include collecting rocks and minerals, investigating aquatic life, exploring different ecosystems, learning to identify wildlife, climbing mountains, hiking trails, and so much more. 9:30am – 3:30pm each day. Meet in the A.B. Ceder Room. Pre-registration and pre-payment are required. 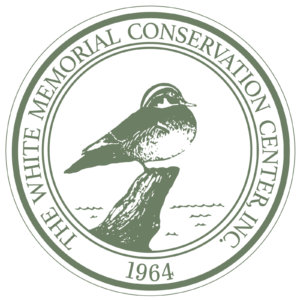 Please call 860-567-0857 or visit whitememorialcc.org. Space is limited! Members: $150/week, Non-members: $210/week. Members can begin registering on March 15 and non-members on April 1. Financial aid is available on a first-come, first-served basis. 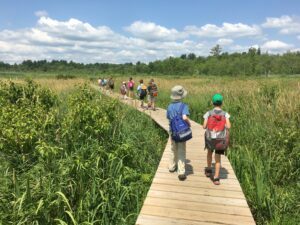 Kids entering grades 1 & 2 can join us for three weeks of all-day outdoor discovery, games, books, songs, and crafts that help them learn more about the natural world around them. Sign up by week. 9:30am – 3:30pm each day. Meet on the Ceder Room lawn in the Main Area. Pre-registration and pre-payment are required. Please call 860-567-0857 or visit whitememorialcc.org to register. Space is limited! Members: $125/week, Non-members: $185/week. Members can begin registering on March 15 and non-members on April 1. Financial aid available on a first-come, first-served basis. This weekly two-hour series for 4 & 5 year-olds features stories, songs, crafts, games, and outdoor adventures that introduce young ones to the wonders of nature! Sign up by session or for all 5 sessions. Meet in Nature Museum Children’s Corner. 9:30 – 11:30am. Pre-registration and pre-payment are required. Please call 860-567-0857 or visit whitememorialcc.org. Space is limited! Members: $15/session, Non-members: $25/session. Members can begin registering on March 15 and non-members on April 1. Financial aid is available on a first-come, first-served basis.